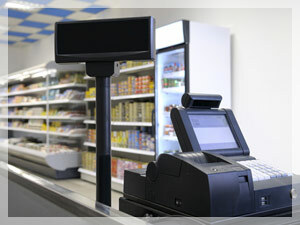 Convenience stores are in a fast past environment and requires their point of sales system to maintain the same pace. The configurability of RDT retail systems is designed to accommodate a streamline checkout process. We configure the checkout process to eliminate useless functionality for this vertical. We do not require any customer data; we eliminate the upsell and companion products that are typical in other retailers. The checkout process can be configured with upc bar code scanning functionality as well as quick keys to accommodate a speedily check our process. We accommodate the integration to a scale system where required for deli services or fruits and vegetables. We give our C-store retail partners the ability to scan their inventory with a mobile device to eliminate the need for extra hardware in the stores. The same mobile device can support the reorder process, purchase order, and cycle counts for inventory accuracy. Although many of the customer data capturing and product upsell capabilities are removed; the integrity of each transactions is still maintained. The sales audit functionality enables c-store retailers to react to human errors and inappropriate transactions.